The daily task of Mucking out outhouses and stables can quickly become an unwelcome chore. 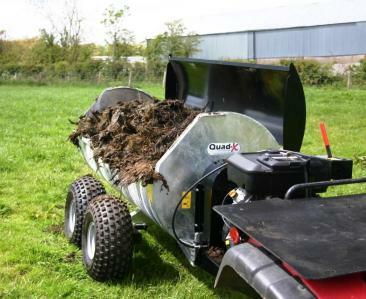 Quad-X has developed a range of Muck Spreaders to help you avoid huge muck piles. 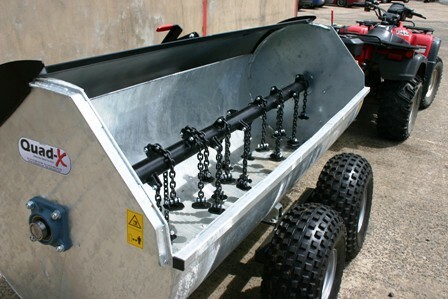 Our innovative design has allowed us to develop the Muck Junior and the Muck Master. It is handy, cost effective and will allow you to spread your own manure, avoiding the need for a contractor, which can be expensive and often cause damage to the ground when heavy machinery is used.